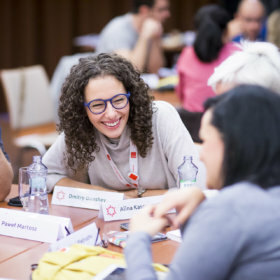 Training program focusing on leadership development and issues and opportunities unique to the non-governmental sectors across Central and Eastern Europe. A year-long development program, which begins with an orientation session and a four-day intensive experiential learning workshop held in vicinity of Bratislava, Slovakia. The participants will progress through their own individualized leadership program, with the help and support of dedicated mentors. The culmination of the program includes a leadership summit, conducted one year after the initial leadership training. Distinguishing between formal and informal leadership roles. Engaging people and mobilizing resources. Understanding the role of a profession in leadership that can support all of the previously discussed elements of leadership. Join Us And Strenghten Your Leadership Skills!